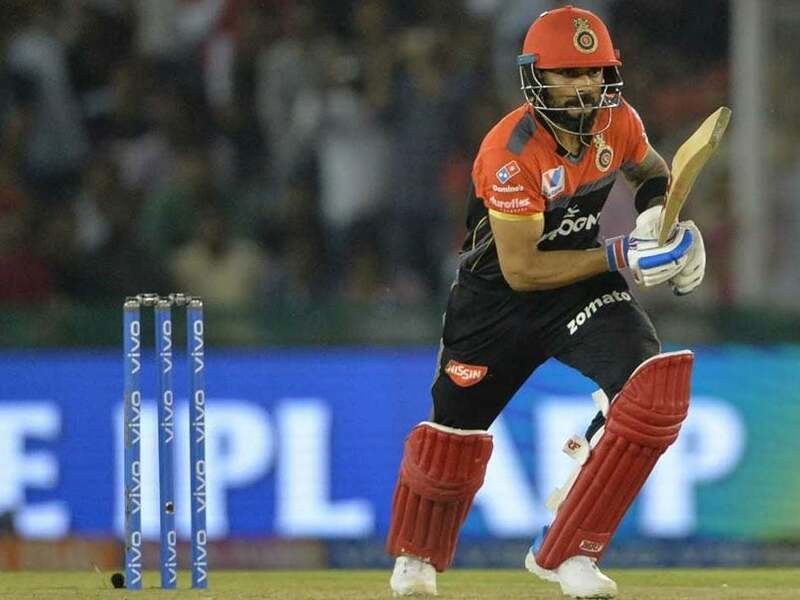 IPL 2019, Royal Challengers Bangalore Vs Kings XI Punjab: RCB registered their first win of IPL 2019. We leave you with all the highlights from the match, until next time, its goodbye! Poor captaincy from Ravichandran Ashwin, asked Sarfaraz Khan to bowl the final over. He gives away the remainder of the runs in just two balls. Sam Curran had an over left but Ashwin had some other plans, which didn't pay off. AB de Villiers hits it fine for a maximum off the final delivery in the 19th over. 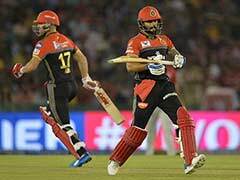 RCB need 6 runs from the final over, maiden win in IPL 2019 looks very much in reach for the visitors. Mohammed Shami goes full, Marcus Stoinis picks the length and just hits the delivery down the ground for four runs. RCB need 13 runs off 8 balls now. AB de Villiers gets his reward for playing a well composed innings, reaches his 31st IPL fifty, sneaks a single as Andrew Tye dislodges the bails with his arms and not with the ball. AB de Villiers has smoked it over covers for a maximum and Virat Kohi looks animated in the dug-out, he is not taking his chair at the moment. Looks like he can smell a victory here! Marcus Stoinis hits it high in the air off Andrew Tye's back of a length delivery, plenty of time for Murugan Ashwin to judge and collect it but the ball has just slid between his hand and chest. Marcus Stoinis hits back-to-back boundaries, this time towards backward point, beautifully worked away. Marcus Stoinis is changing gears here, flicks the delivery off Andrew Tye for four runs. Pressure on the bowler here after the first ball boundary. RCB need 38 runs from 18 balls, Ashwin has completed his four overs spell with figures of one for 30. Virat Kohli tried to play a lofted shot, from the middle of the bat, hands and easy catch to Murugan Ashwin. A splendid knock of 67 runs comes to an end. 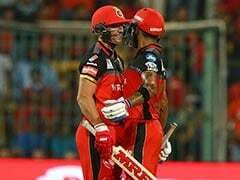 Can AB de Villiers chase this down for RCB now? Virat Kohli and AB de Villiers are dealing singles at the moment, not taking any risks. Boundaries have dried up. AB de Villiers hits the delivery from Andrew Tye towards deep mid-wicket to pick two runs, Mohammed Shami makes the throw but Kohli at the non-strikers end will make his ground with ease. AB de Villers plays a paddle sweep off Sam Curran for four runs towards fine leg. Curran has been expensive tonight, conceded 30 runs from his 30 overs. Time-out has been taken! Easy pickings for Virat Kohli, Andrew Tye bowls onto the pads and the RCB skipper just flicks it fine for four runs. Virat takes a single of Ravichandran Ashwin to reach to his 36th IPL half-century, off 37 deliveries. 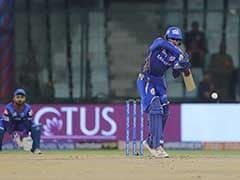 Can he guide RCB home for the first time in IPL 2019? Virat Kohli hits Ravichandran Ashwin square for four runs, brings up the 50-run second wicket stand with AB! KL Rahul slips in his run, AB de Villiers will pick up four runs off Murugan Ashwin. KXIP can't gift away runs, they need to restrict it. Virat Kohli surpasses Suresh Raina to become the highest run scorer in T20 by an Indian. Royal Challengers Bangalore 80/1 in 9 overs. Andrew Tye bowls a short-pitched delivery to AB de Villiers, offers width outside off stumps, gets slammed for four runs. He won't let the lose deliveries slip, will he? Virat Kohli hits Murugan Ashwin for back-to-back boundaries, RCB 63 for one after end of powerplay. 50 runs up for Royal Challengers Bangalore in 4.4 overs, their fastest of IPL 2019. Can they script a maiden win here? de Villiers punches the slightly short delivery from Mohammed Shami through the covers for four runs. Ravichandran Ashwin bowls it slow through the air, Parthiv Patel steps up to hit it over long off, only to hand an easy catch to Mayank Agarwal. Virat Kohli slaps the delivery from Ravichandran Ashwin hard as it goes straight down the ground for four runs, excellent use of the bottom hard. Parthiv Patel hits Sam Curran straight down the ground for four runs, RCB are off to a flyer in the chase. He has looked in good touch in the tournament. Virat Kohli hits Sam Curran through the covers for for runs, good length delivery from the Englishman gets its treatment. 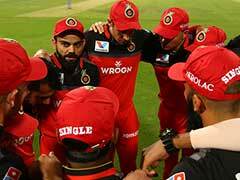 15 runs from the Mohammed Shami over, RCB 21 for no loss after 2 overs. Virat Kohli hits Mohammed Shami straight down the ground for four runs, elegant, leans forward, makes it so good to watch. Six runs from the opening over by Sam Curran for Royal Challengers Bangalore. Parthiv Patel hits a boundary in the first ball off Sam Curran, RCB are off the mark in the chase in style! Parthiv Patel takes guard in front of the stumps, Virat Kohli is on the non-strikers end. Sam Curran to bowl the first over. Gayle hits a boundary of the final ball of the KXIP innings. The home franchise post 173/4 in their stipulated 20 overs, there's going to be some chasing for the likes of Virat Kohli and AB de Villiers. How many full-toss have been bowled to Chris Gayle? Well, one more here from Siraj and Gayle dispatches it for four runs. Siraj goes for 50, with two balls to go. Three runs from first three balls in the final over for KXIP. Chris Gayle dispatches a full toss from Umesh Yadav for a maximum. He moves into the 90s from 60 balls with that hit. Virat Kohli drops a sitter, Chris Gayle survives off Umesh Yadav. A juicy full toss from Umesh Yadav, Chris Gayle hits it to the gap for four runs. No margin for error here! Mandeep Singh pulls one off a good length delivery from Navdeep Saini for four runs, de Villiers makes a diving effort but can't reach it.